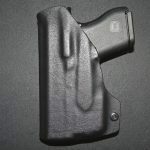 This new holster for the Glock 42/43 uses 0.093" Kydex/Boltatron, which is thicker than the industry standard. 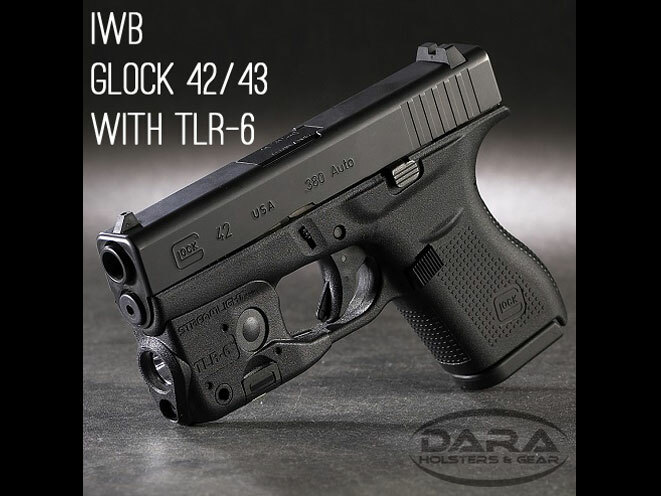 Dara Holsters has just unveiled a new IWB (inside the waistband) holster for the Glock 42 or Glock 43 with the Streamlight TLR-6 Light attachment. 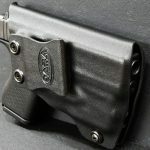 This holster uses 0.093″ Kydex/Boltatron, which is thicker than the industry standard, meaning it can handle anything you throw at it. 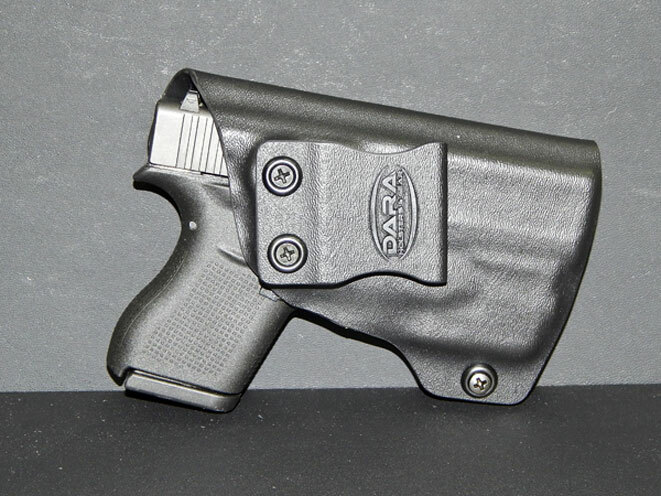 As with all Dara Holsters, this holster is fastened using Melonite and Zinc coated hardened steel hardware. 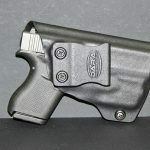 The new IWB holster for the Glock 42 or Glock 43 with the TLR-6 attachment is available at a MSRP of $69.99. 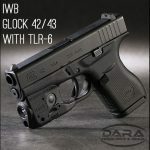 Use the code “TLR6” for $10 off your order. 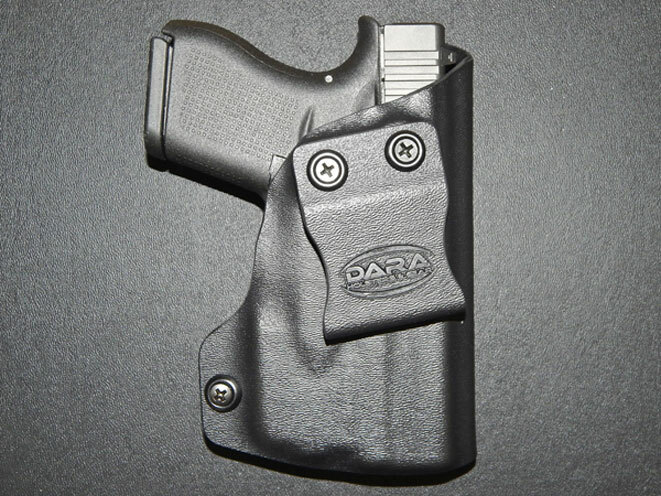 Dara Holsters & Gear Inc. was founded in 2012 by Jon Dara. 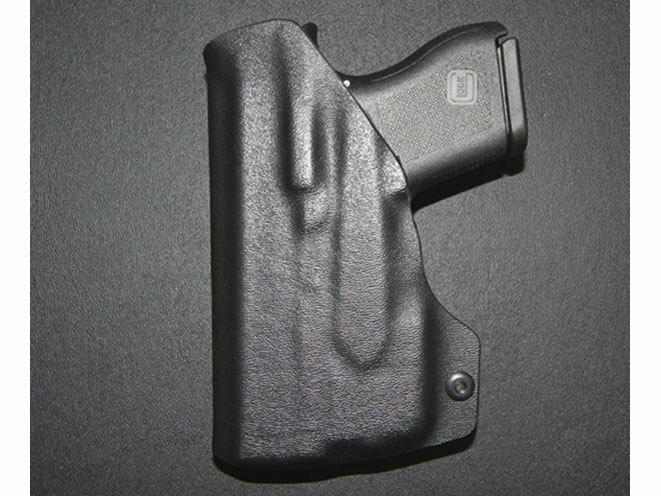 It all started when Jon was looking for his first concealed carry holster. 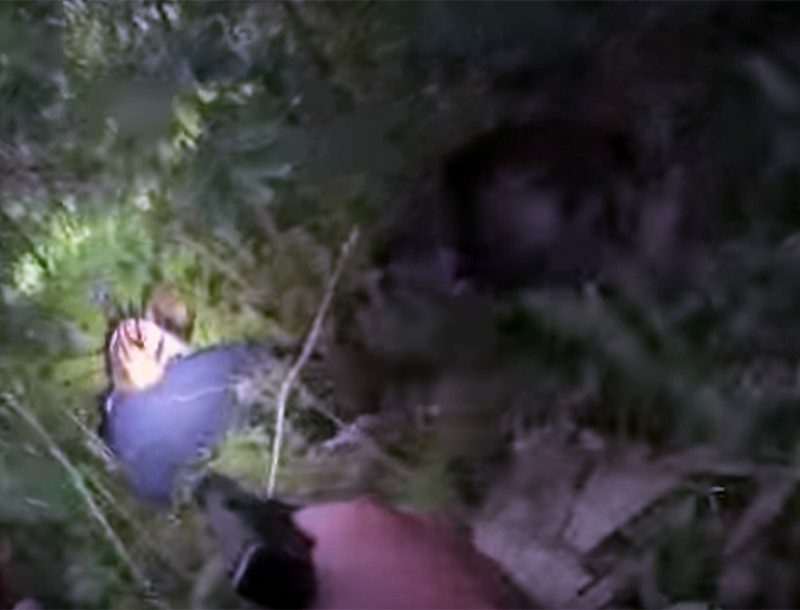 He googled for weeks, but every holster he found seemed to be lacking in one way or another. He couldn’t find one that suited his needs, so he wanted to try and make his own. 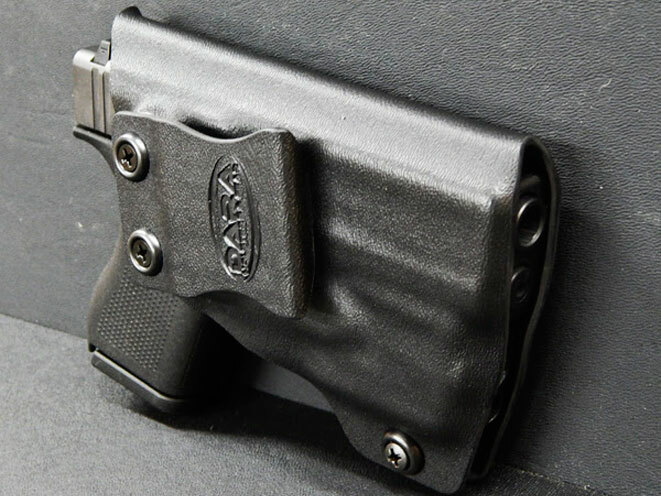 After many days of research Jon decided to use Kydex for his holster, and proceeded to order the materials needed. Once Jon started wearing his first hand made holster, his friends started to take notice. 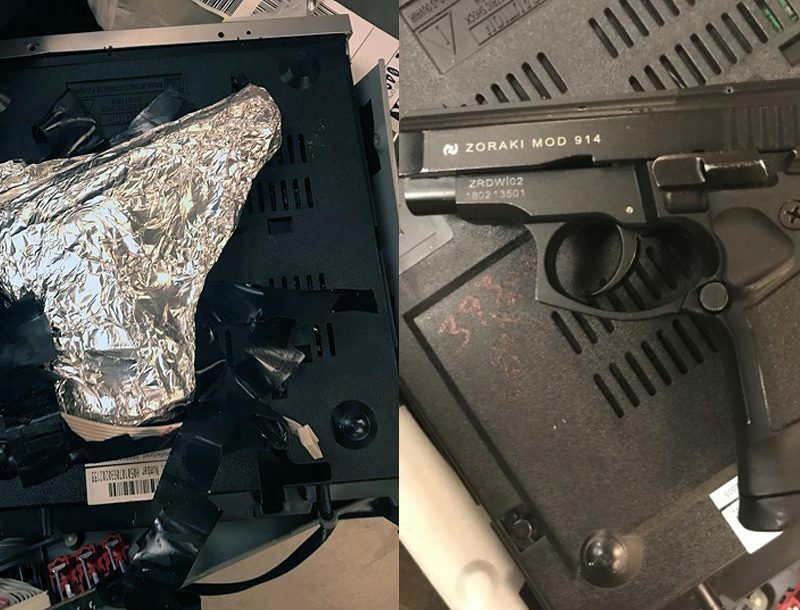 Within weeks, Jon had sold over a dozen holsters and realized he should probably continue doing so. 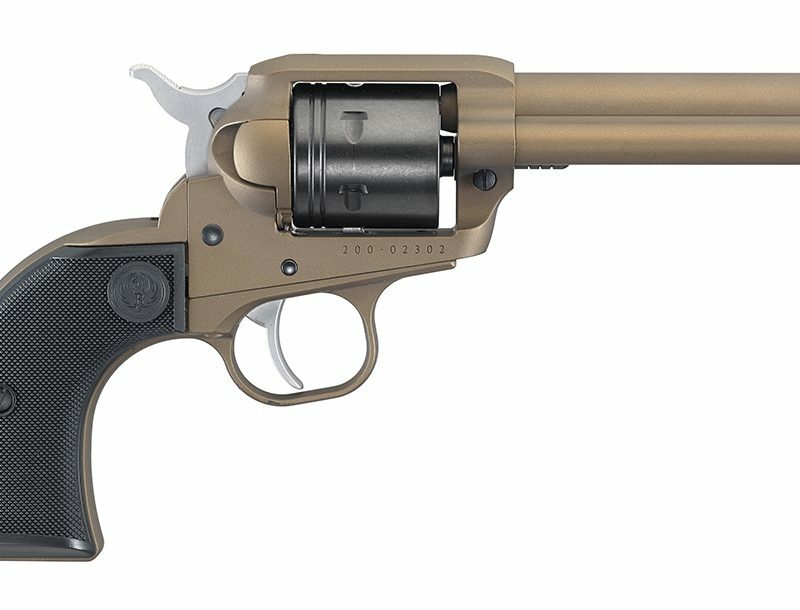 Alas, Dara Holsters was born. 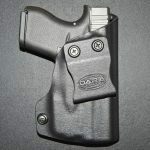 After creating thousands of holsters in an 8′ x 12′ shed, Dara Holsters finally moved to a new 1200+ sq. ft. building in the beginning of 2014. We are located in Knightdale, North Carolina. 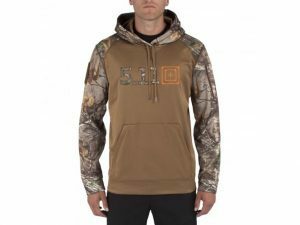 All products are handmade, hand pressed, and hand polished, as well as fit tested before shipping out to ensure quality.